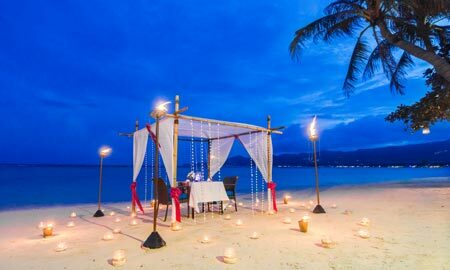 Imagine arriving at a beautiful beach at sunset, candles flickering in the warm tropical breeze and a private table set for two attended to by your personal waiter for the evening. 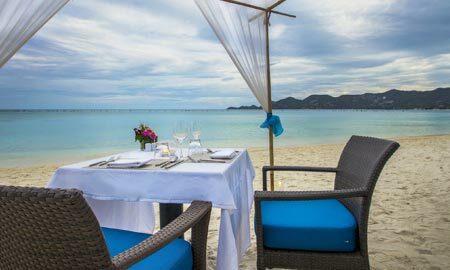 Our experienced chefs prepare a delectable 6 course gourmet meal using only the freshest local ingredients. Complete with dessert and a choice of white, red or sparkling wine.